Available now, the release is powered by the company's MediaCentral platform, and shares its interface with the full version of Media Composer. 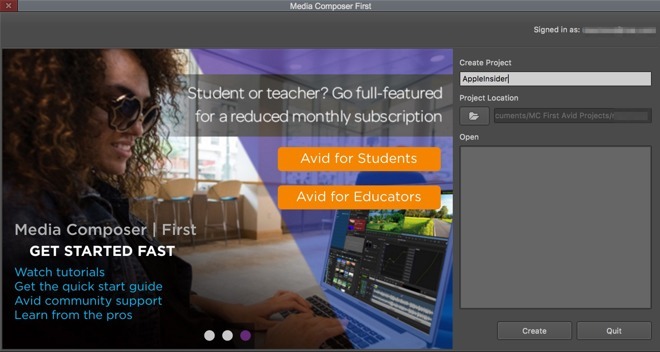 "Media Composer | First" includes the ability to mix four video tracks, eight audio tracks, and modify them with host of built-in visual effects, transitions, color correction presets and titling templates. It also allows for easy sharing, with one-click publishing to YouTube, Vimeo and Facebook. Project formats are limited to SD PAL, SD NTSC, 720p, and 1080p —4K is specifically disallowed. Industry-standard framerates up to 59.94 frames per second are usable. Color space is limited to 601/709, with DCI-P3 such as that found in the iPhone 7, MacBook Pro, and iMac refreshes not available. Stereo sound is supported, but surround sound is not. The software takes 4.43GB of storage space before project data, requires an "Avid-qualified Apple computer" — meaning anything from 2012 or later, running macOS 10.10 or above, with 8GB of RAM at a minimum. 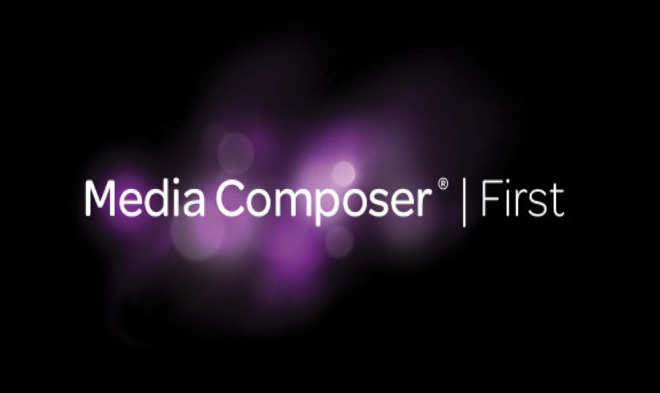 While free, "Media Composer | First" does require registration with Avid, and use of Avid's license management software.